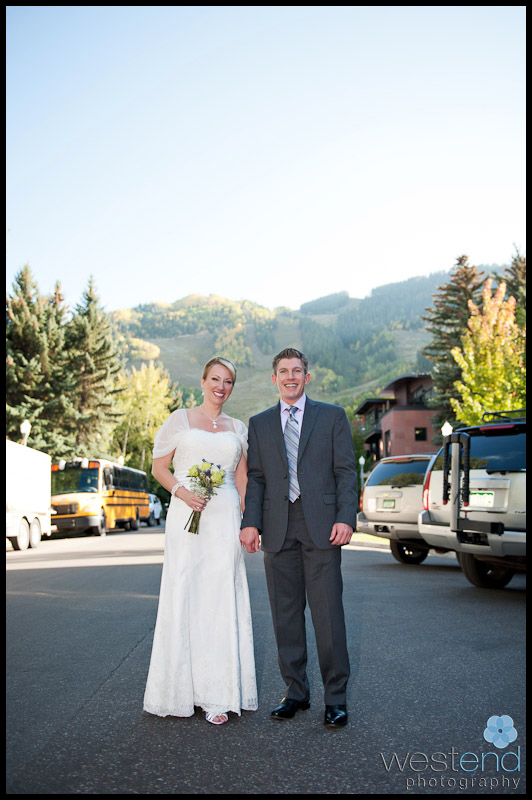 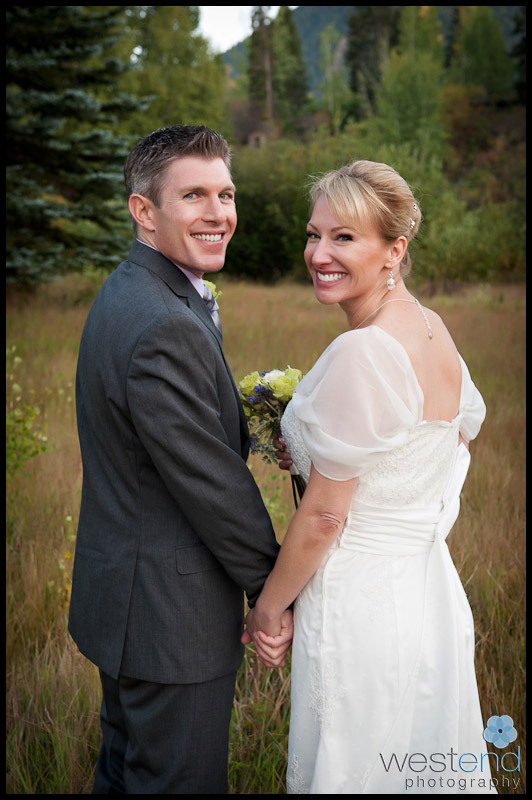 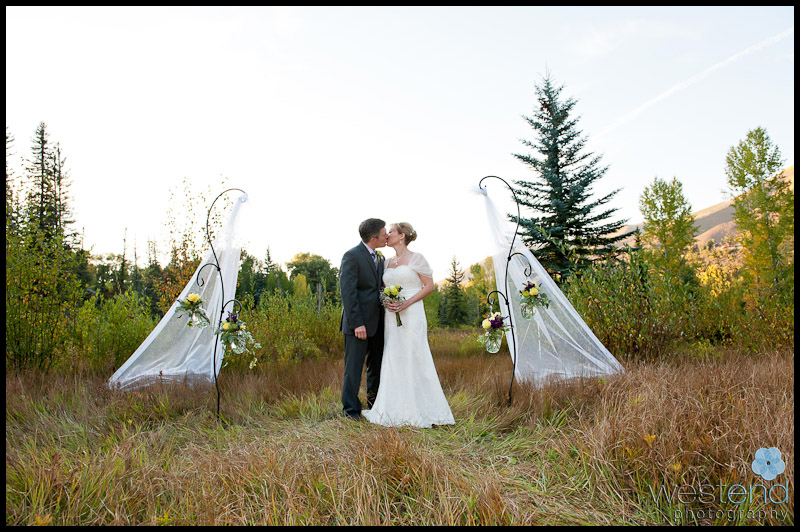 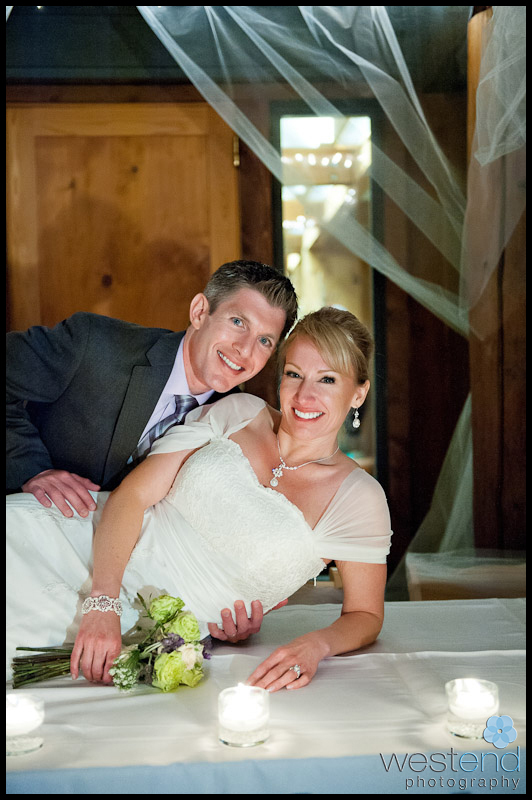 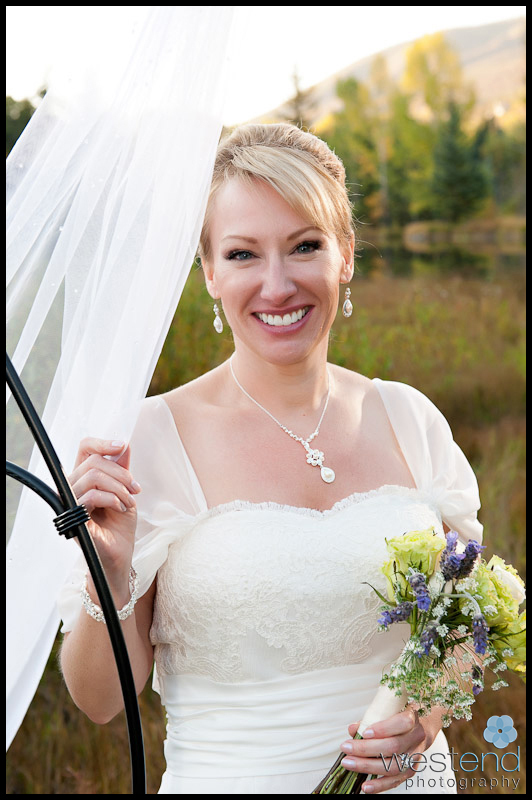 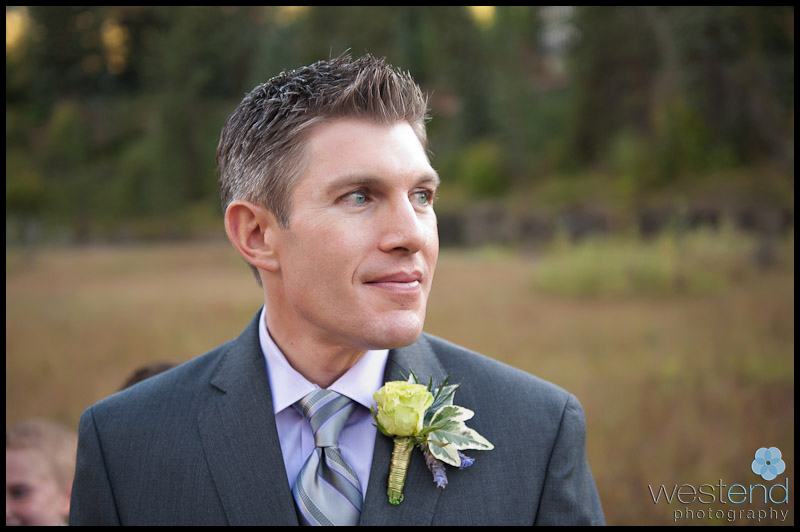 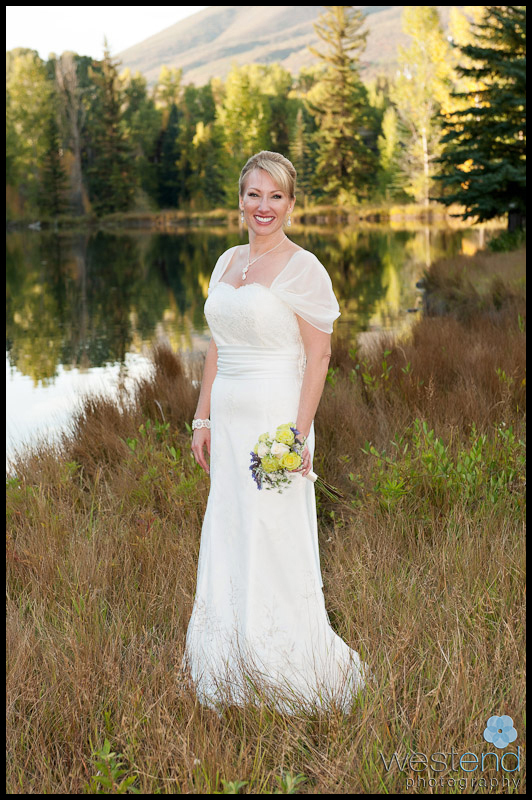 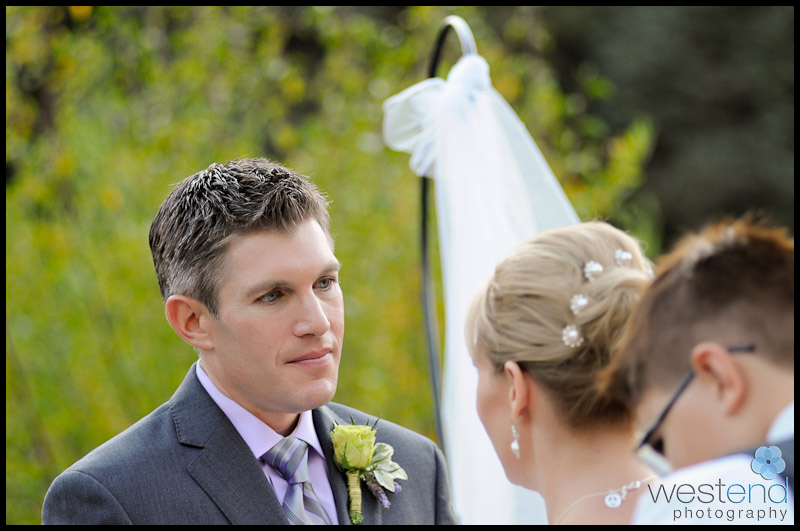 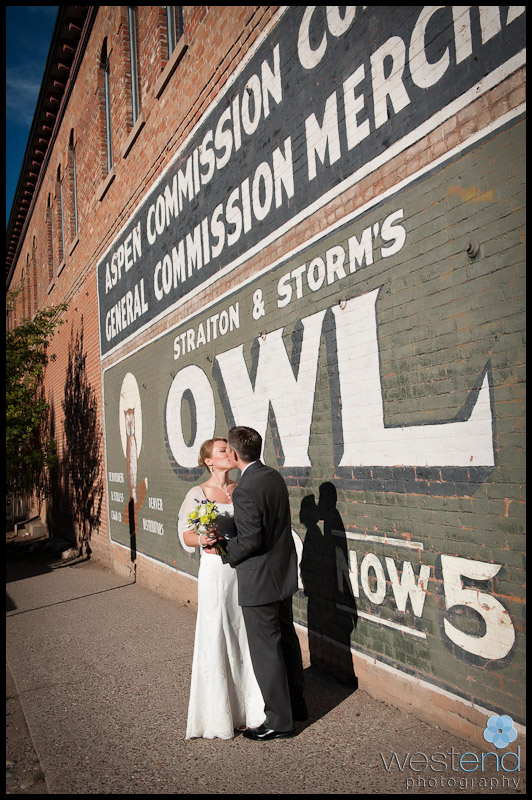 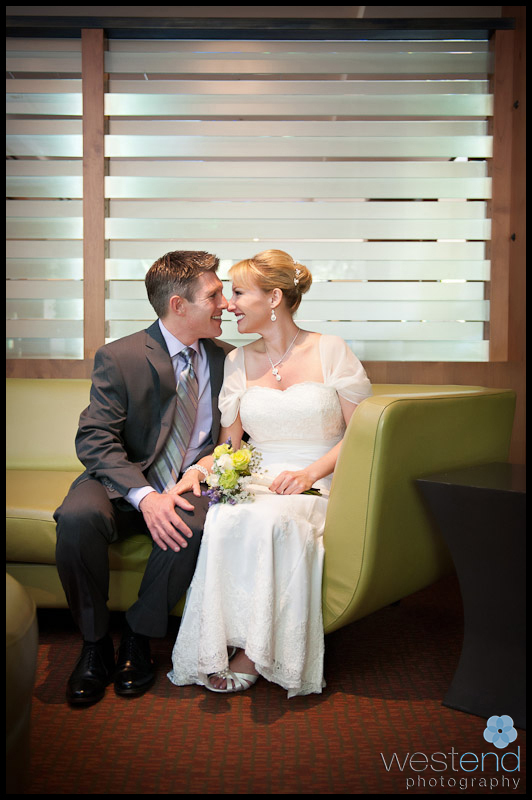 Aspen, Colorado has been a home away from home for Heather and Mark and was a natural choice for their wedding. 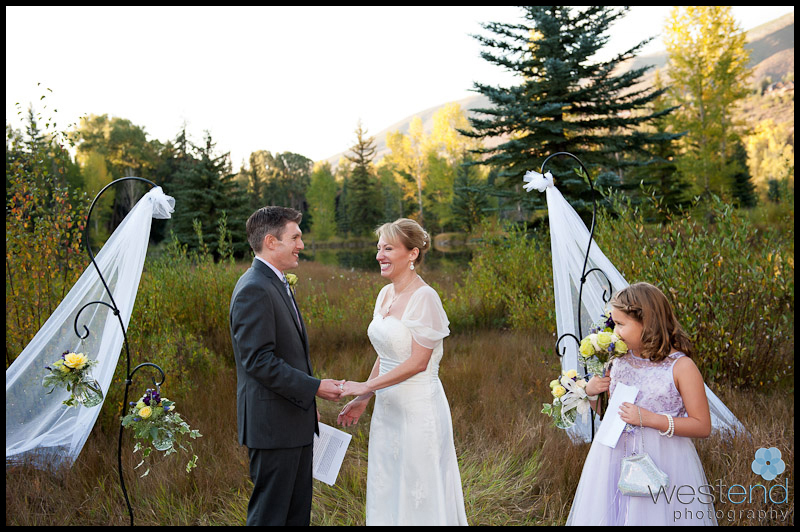 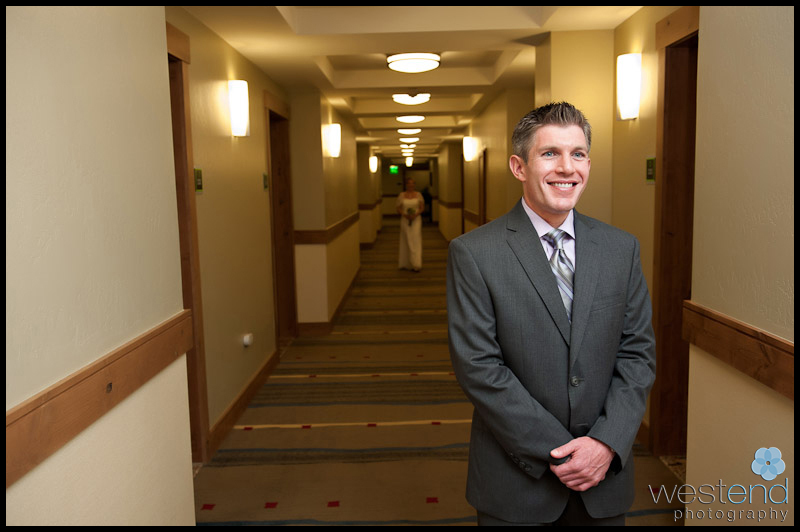 They started the day off at the Limelight Hotel and then headed over to the Aspen Center for Environmental Studies for their wedding ceremony and reception. 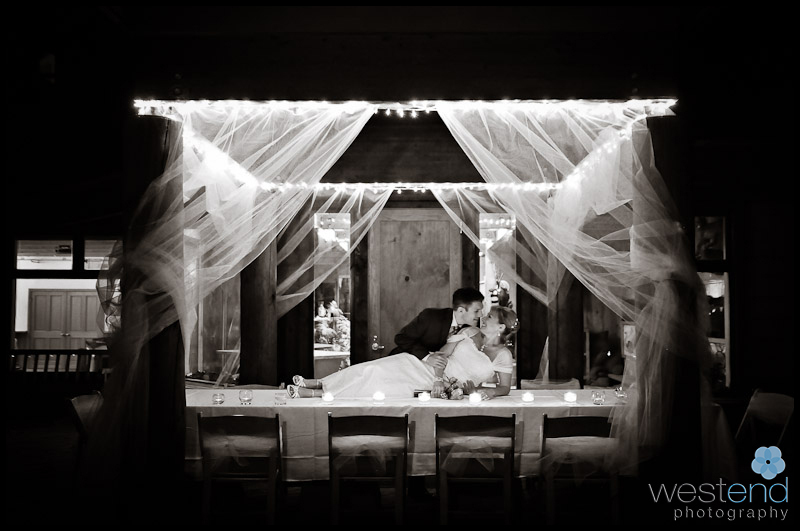 Mark is an architect and did an incredible job turning ACES into an even more magical wedding venue than it already is. 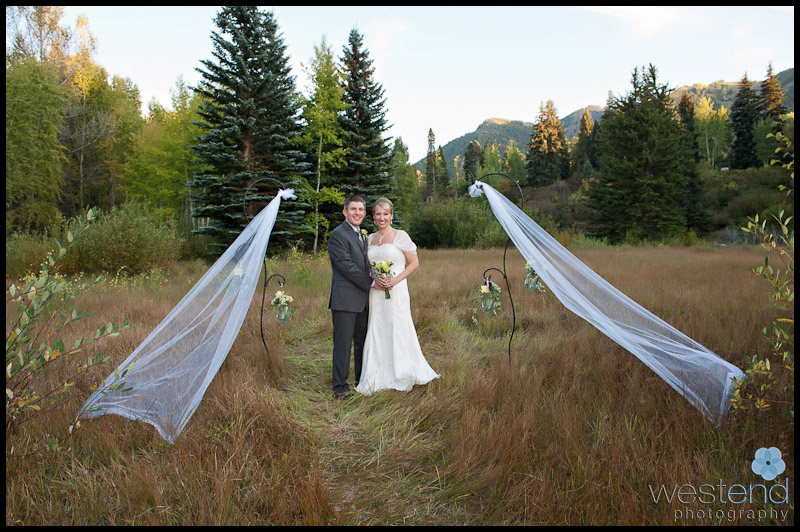 I love the simple lace at the ceremony; it looks like a wedding veil and it reminds me of a Christo installation. 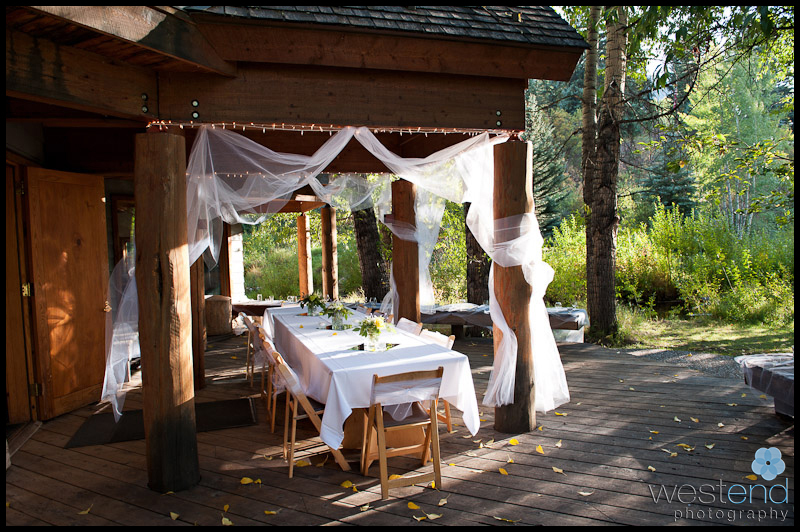 If you want to learn more about Christo check out his page on Artsy’s website. 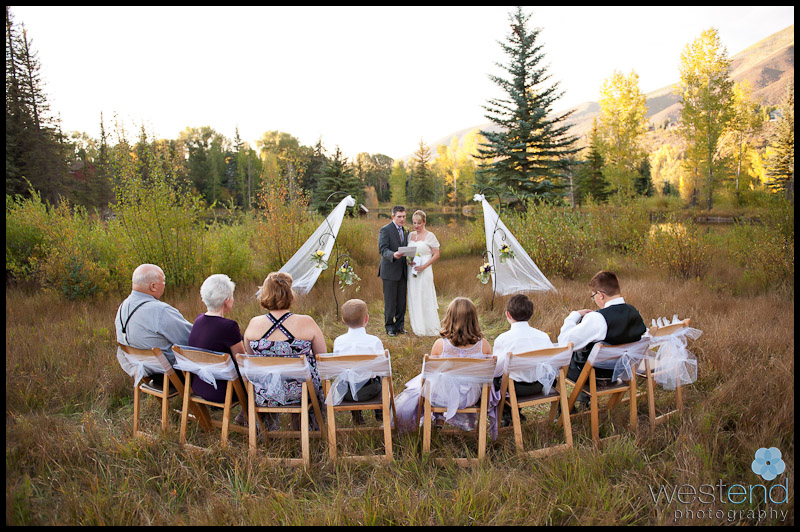 This tiny wedding at ACES with just their family had as much energy as any other wedding. 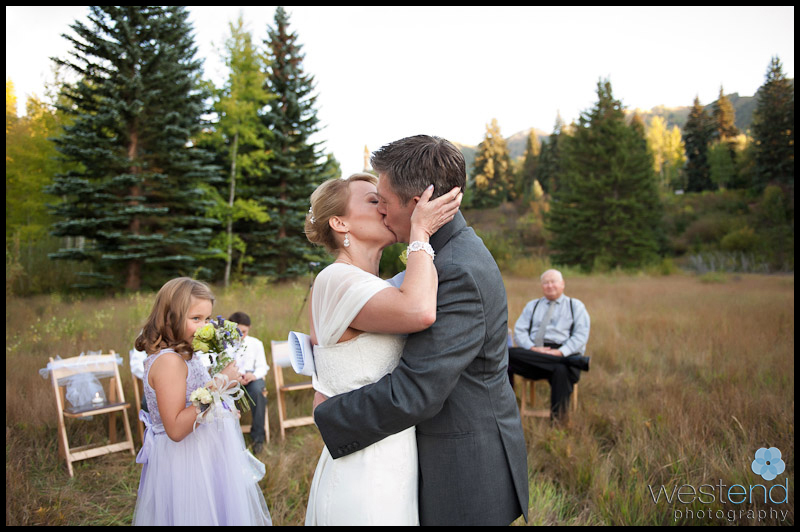 One of my favorite weddings to photograph in 2012.